I would say that my hometown is at Alabang, Muntinlupa. I witnesseded how it looks like 10 years ago. But with Zomato Food Crawl happened at the South, after 10 years, I am able to visit my hometown again and indeed it became very different with the developing era we are having right know - modernize, stylish, and the buildings are rising within the city. And of course, it also became a foodie spot where a lot of restaurants today are being built as day goes by. 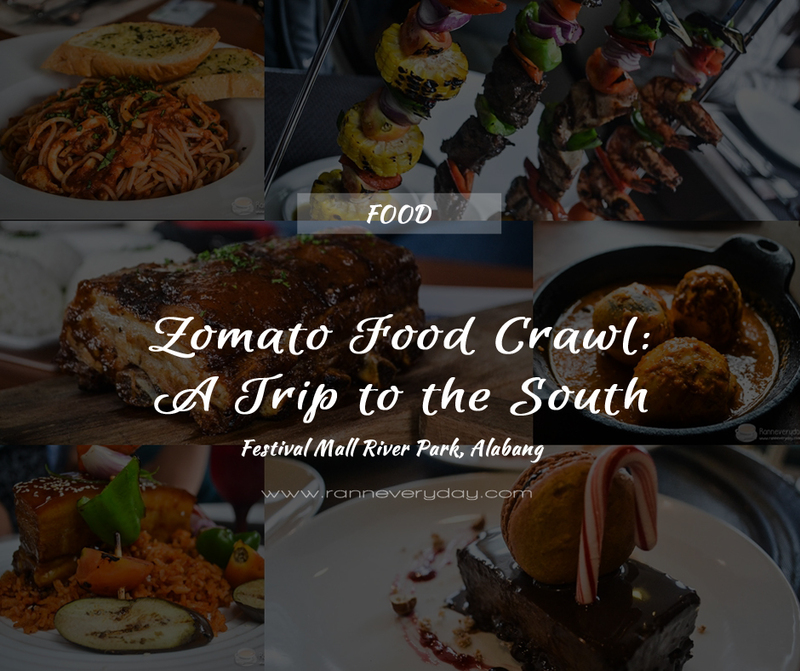 Last December 12, 2015, I was invited by Zomato Philippines to participate with their Zomato Food Crawl at Festival Mall River Park at Alabang. With four participating restaurants and together with my fellow foodies, we are able to taste the best dishes by these restaurant and went home very full and satisfied! 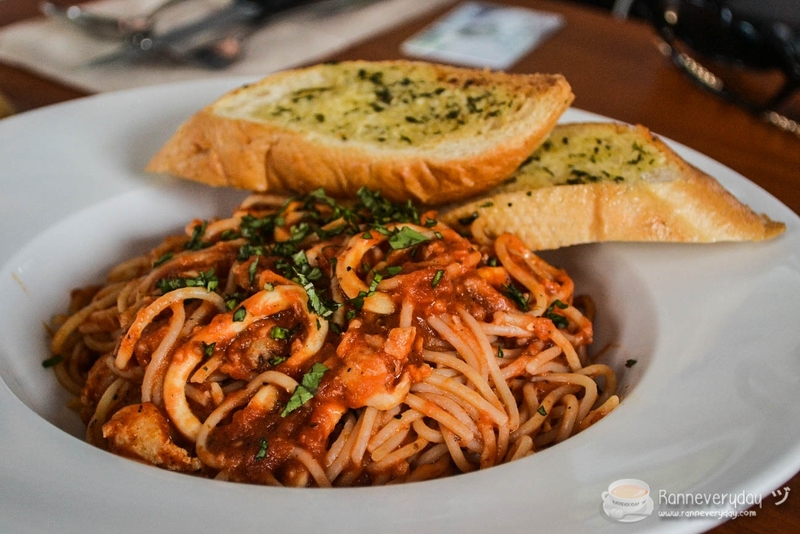 Today, I'll be sharing the dishes plus short food review at River Park Alabang's food establishments that we tried: Mati's Meat and Bread, RED Kitchen + Bar, Hog's Breath Cafe and Market Basket. 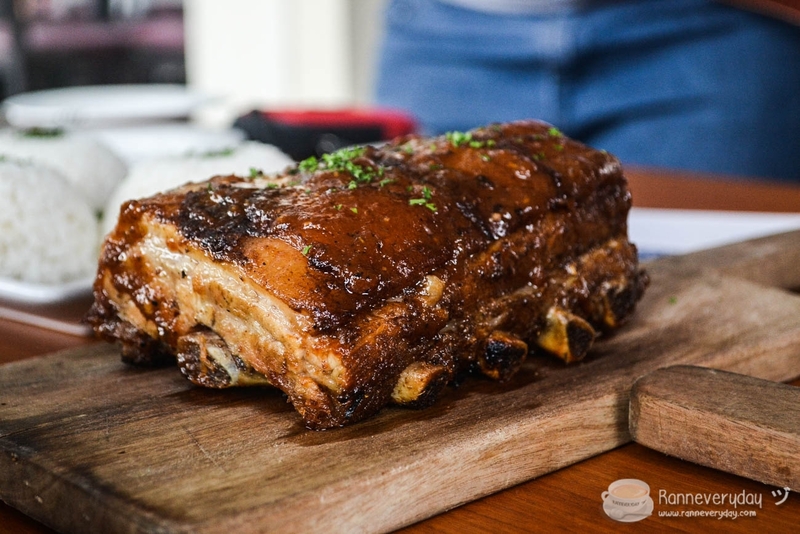 Mati’s Meat and Bread brings some famous Filipino dishes to another level – by ‘leveling’ up your cholesterol level! A literally ‘putok batok’ dishes served here at Mati’s are delicious yet sinful for those who are watching their cholesterol level. Their Balut Alligue (and yes, it’s as heavy as it sounds) is good especially the sauce (alligue) part. 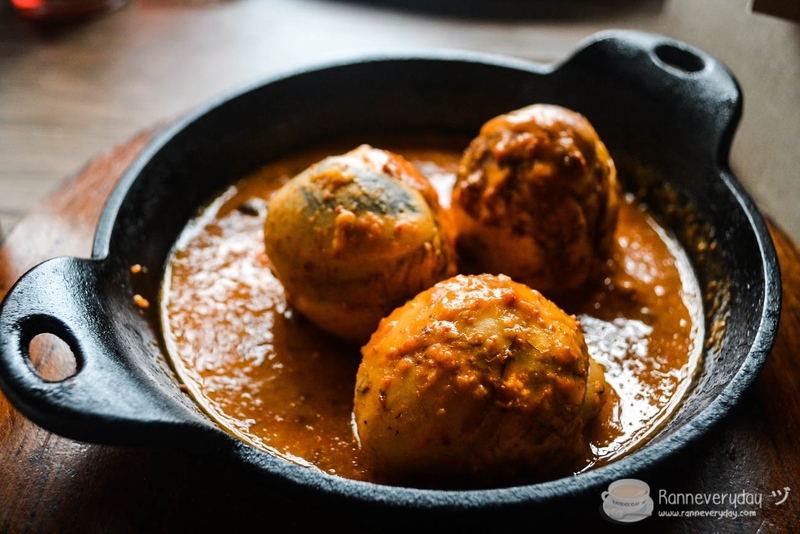 Served in a plate are 3pcs Balut with Alligue sauce which blends well with the balut. I may not be that fan of eating balut but the whole dish is a must try and makes me crave for some booze (but opps, I don’t recommend pairing it up with beer especially for people with health issues). Their Truffled Bone Marrow is a bomb and my favorite dish at Mati’s. 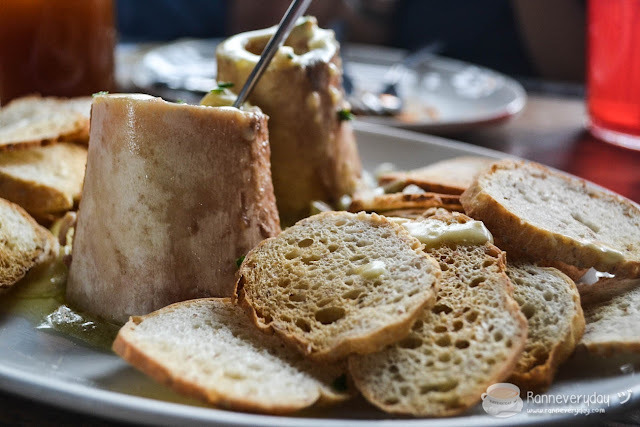 The bone marrow was truffled and very delicious with the bread served with it. Slash the cholesterol count! I love this dish because they prepared the flavor of the bone marrow to be that creamy and delicious and I almost empty the whole plate! If you happened to be at Festival Mall at Alabang, be sure to try Mati’s Meat and Bread. Bring your friends and enjoy watching some sporty action while eating their delicious dishes! 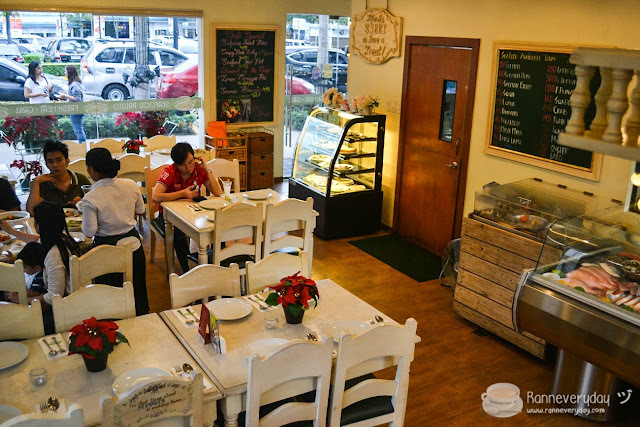 With a very elegant interior and a cozy ambiance, RED Kitchen + Bar is another place to try here at Festival Mall River Park Alabang. 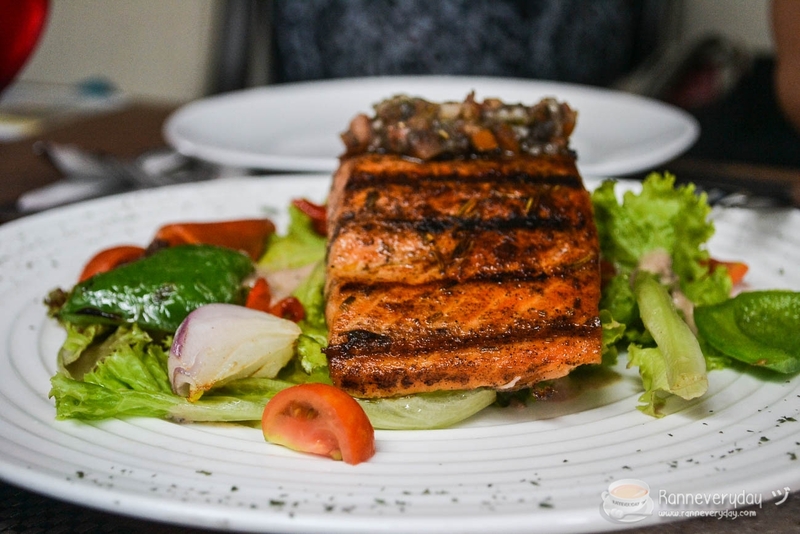 If you are up for some fine dining dishes, this place is a must-try. Their 72-Hour Soy Pork Belly is really good. I like how tender the pork is and soft as you bite plus the flavor lingers to your tongue. 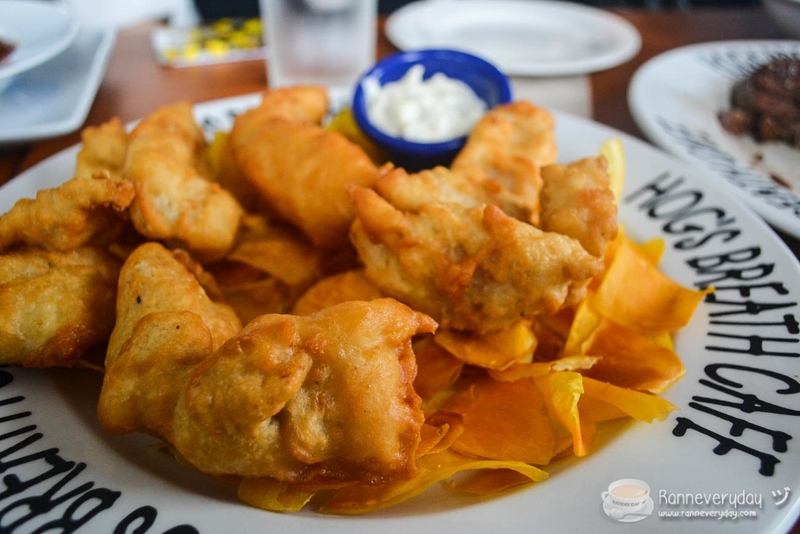 The serving is really big and I can say that it is good for almost 3 persons to try. I also love their Grilled Salmon Paprika since the salmon is very flavorful. 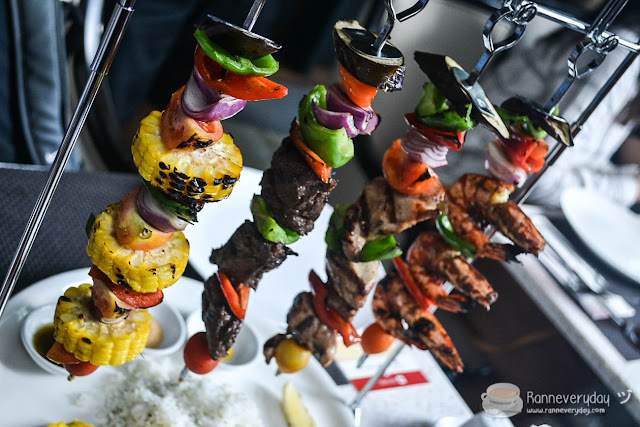 Their Triad Churrasco is perfect to share with 6 persons already. The meat is tender plus the veggies are fresh. And I admit I enjoyed eating the corn. Aside from their dining area, they also have a bar located at their 2nd floor where they have some live band performing and they also have an area which is good for small events/meetings. I was curious why they have lots of customers during the daytime, especially foreigners? Then after I tried their dishes, I must admit that they served a delicious set of food. 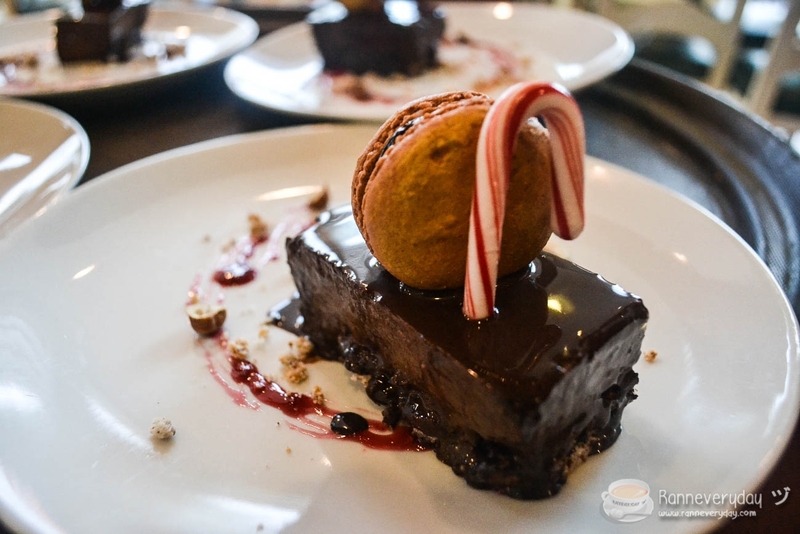 Together with fellow foodies, we were able to try Hogs Breath Café’s Holiday Feast. And indeed it was a feast! 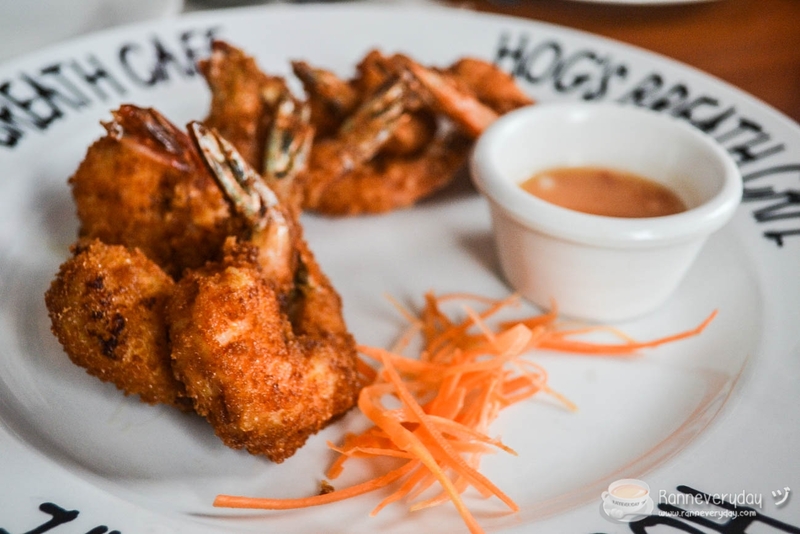 You can choose between their 2 sets of Holiday feast, which costs at around Php 2,500.00 per set. Sounds expensive? Nope. The price is worth it because the food is really delicious. 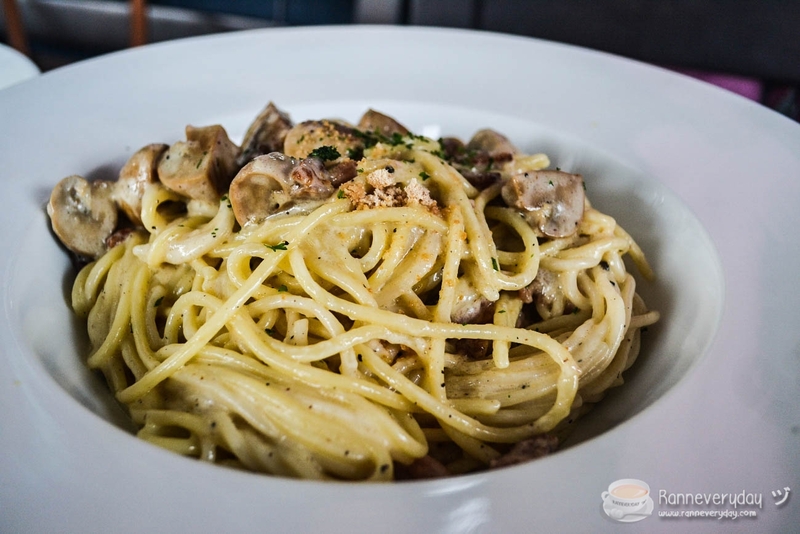 I like their Carbonara so much and it became an instant star of the day. 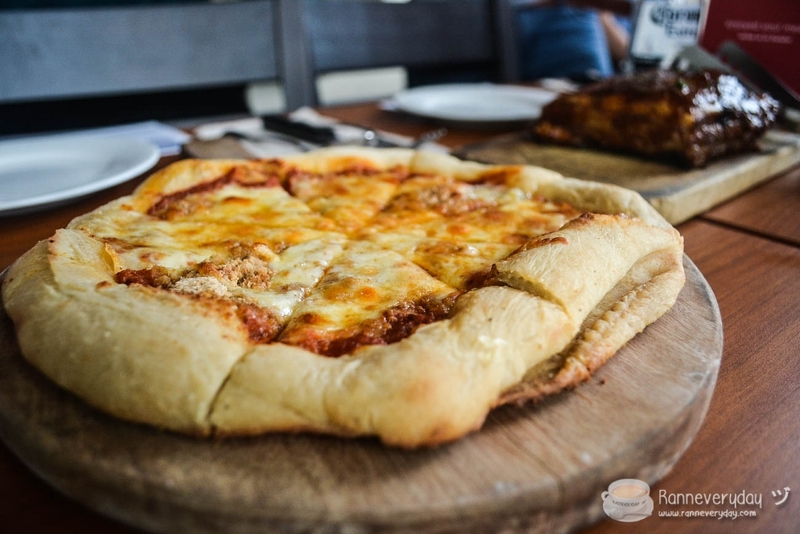 I also love their meat dishes plus the very flavorful and soft until the last bite pizza. I also love their crispy shrimp and the fish fillet. I just have an issue with the chicken since the meat is a bit raw and traces of chicken blood are very visible. But I know they can improve with that dish. 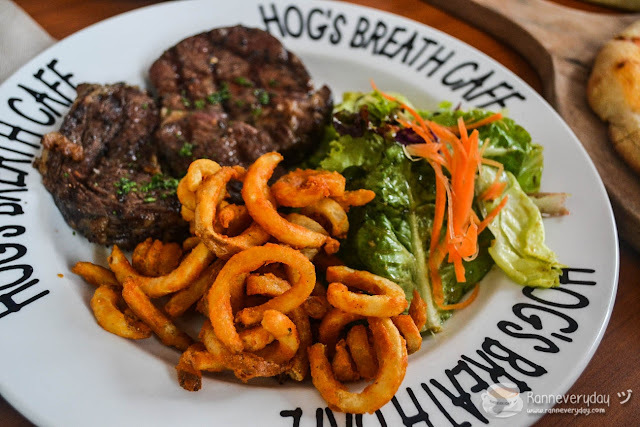 So bring your family this holiday season at Hog’s Breath Café and enjoy their Holiday Feast! A very homey ambiance with painted inspirational quotes, you feel like you’ve been transported for some generations home. Welcome to Market Basket, where you can enjoy fresh seafood dishes: choose the seafood and they will prepare it for you. Aside for being a ‘Paluto’ place at Festival Mall River Park Alabang, Market Basket also serves mouth-watering desserts. One of there is their Louis XV, a soft chocolate mousse with macaroon on top plus strawberry jam at the side. The cake is sweet and I recommend it to pair with a cup of hot tea. I will update and do a separate review about them soon, since I am determine to go back to this place and try their Paluto dishes and their famous seafood hot pot. I’ll surely come back here at Market Basket and try more of their dishes. And that ends my short food review about these restaurants located at Festival Mall River Park, Alabang. Each restaurant has their own specialties! 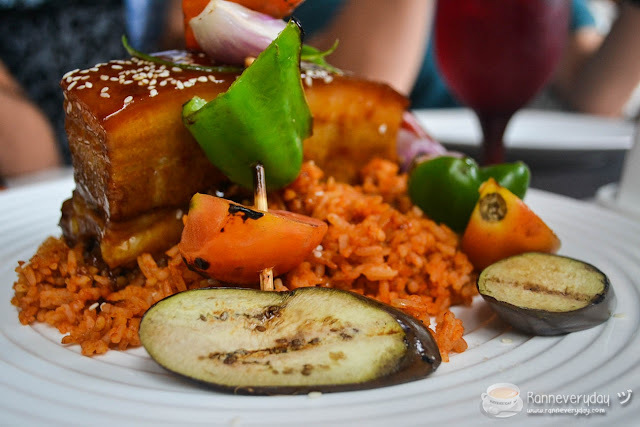 Be sure to try them because honestly, each of the four restaurants we tried are really worth it and serves delicious and mouth-watering dishes, perfect for the whole family!